If you've been going to the movies all your life or playing video games all your life, you've probably noticed that things have changed quite a bit since you were younger. The quality of everything that you see on screen is getting better all the time. With cameras getting more advanced and video game technology being the best it's ever been, all of this content is more detailed and lifelike than ever. There are a few different factors that go into making a high-quality picture but the most important of which is probably resolution, and the best available resolution that we can get right now is 4K. 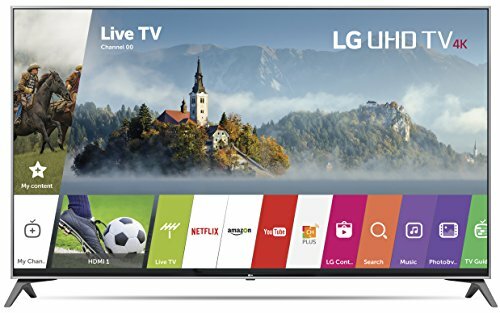 Whats the Best 4K TV Under $1000? 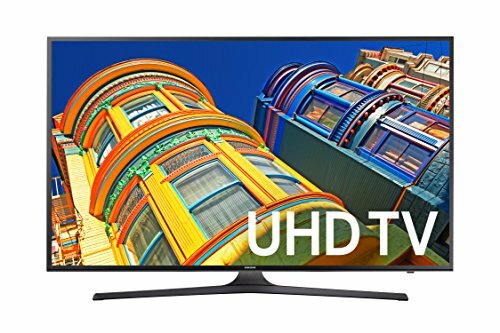 Can You get a Good 4K TV for Under $1000? We all know that HD stands for High Definition and was a big step forward in how we watched TV, but 4K is a step further. 4K is Ultra-HD. You'll see it at the theater but it would be nice to experience it at home too right? Well, you can, and despite what you might think, you can get a top of the range 4K TV for a pretty decent price. In this article, we're going to talk about 9 of the best TVs that cost less than $1000. Before we start discussing each of the individual TVs, we would like to mention that every product appearing on this list has an Energy Star rating of at least 75. These TVs are all highly energy efficient which means that they won't end up increasing your electricity bill much. 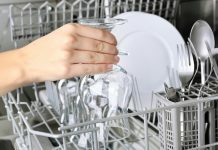 So you'll definitely save quite a bit of money in the long run. Now on to the TVs. Wide brightness range thanks to the LED screen. Stunning realism with PurColor technology. A curved screen and Auto Depth Enhancer. Curved screen along with an Auto Depth Enhancer. Many inputs and outputs including a grand total of 4 HDMI ports. Great picture with UHD, HDR and LED. LG's famous WEBOS smart platform. An IPS screen makes for great viewing from all viewing angles. 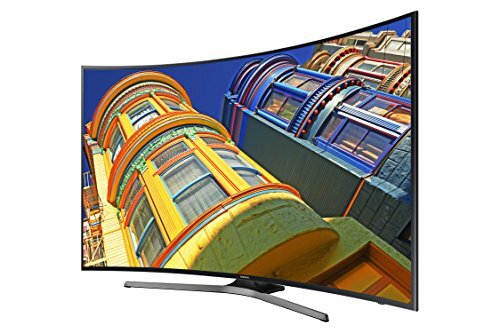 The first product we're going to talk about is from Samsung, who is one of the leading brands producing 4K TVs to buy right now and one that you will definitely be seeing again on this list. 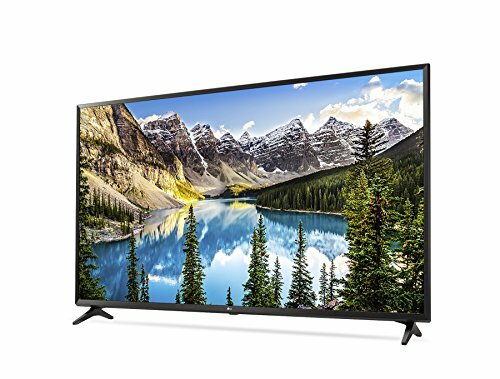 In addition to being 4K, this amazing 49-inch TV also has a full-array LED screen and some other features that make the picture outstanding. It's got a color-optimization feature called PurColor which ensures that the images are as lifelike as possible and there's also an Upscaling Picture Engine. This will allow older movies and video games to appear as if they have a modern resolution. The curved screen is also an advantage, especially with the Auto Depth Enhancer. + Wide brightness range thanks to the LED screen. + Stunning realism with PurColor technology. + A curved screen and Auto Depth Enhancer. Why We Liked It -This Samsung TV is a smart home TV, 49-inch model that has some of the most advanced picture-enhancing features available. 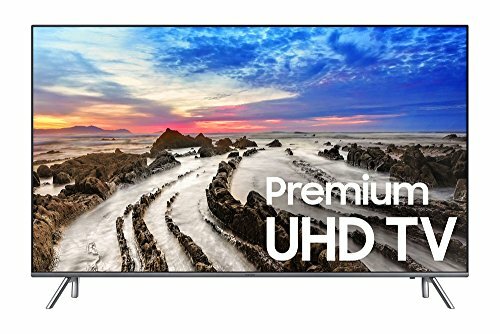 This is another Samsung 55-inch TV under 1000 bucks and this one actually has Premium Ultra HD as opposed to the standard Ultra HD that the previous Samsung TV had. This is actually a pretty significant step up in color and is capable of many more shades and on top of that, this is HDR too. The Motion Rate is the best you can get with this TV and 240 so everything looks fluid. Theres a feature here called Triple Black technology which is something that ensures even the darkest images on-screen will convey as much detail as is intended. You will never miss a single thing with this 4K Ultra HD TV. 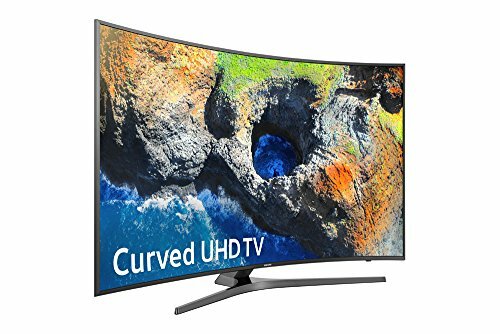 Its a Smart TV too and has a curved screen with an Auto Depth Enhancer. + Curved screen along with an Auto Depth Enhancer. + A high Motion Rate. + Many inputs and outputs including a grand total of 4 HDMI ports. Why We Liked It - This 55-inch 4K Ultra HD TV has an absolutely stunning High Dynamic Range HDR picture thats bolstered by some other fantastic features. Being a Smart TV too is just an added bonus. 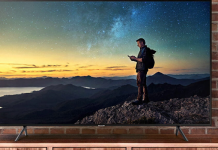 LG and Samsung are constantly vying for the top spot when it comes to these modern 4K TVs to buy and its products like this that put LG in the conversation. 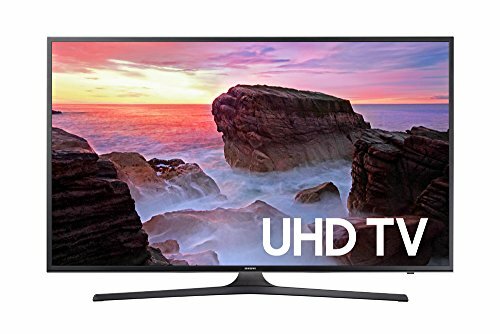 This 4K UHD 65 inch TV is under $1000 and comes with both HDR and Full-Array LED so you have two different systems controlling the brightness range. Though the functions are similar the processes are different so these two wont get in the way of each other. LG also has its own Smart platform known as WEBOS technology and this has the most up-to-date version of that which is WEBOS 3.5. Theres plenty of inputs and outputs too, with 4 HDMI ports. + Great picture with UHD, HDR and LED. + LG's famous WEBOS smart platform. + An IPS screen makes for great viewing from all viewing angles. Why We Liked It - Theres not a whole lot not to like about this 4K UHD TV. Its a Smart TV with a fantastic picture that doesnt suffer for being displayed on a massive 65-inch 4K screen. Yet another Samsung TV and much like the other two, this one has a curved screen and Auto Depth Enhancer. It has a High Dynamic Range HDR image complete with a feature called 4K Color Drive Pro which produces accurate colors across a broad spectrum. Primary and secondary shades all look great. With Essential Black Pro too even the dark scenes are detailed and eye-catching. The Motion Rate is a crisp 120 and this is also a Smart TV that comes with a Samsung OneRemote. This handy little device will give you control over all of the TVs apps and services as well as any device that's connected to it. + 4K Color Drive Pro makes for some spectacular colors. + Essential Black Pro for the darker imagery. + A curved screen with Auto Depth Enhancer. + Comes with the useful Samsung OneRemote. Why We Liked It - This is another very strong model fully capable of a bright, lifelike picture with all the benefits of smart compatibility too. 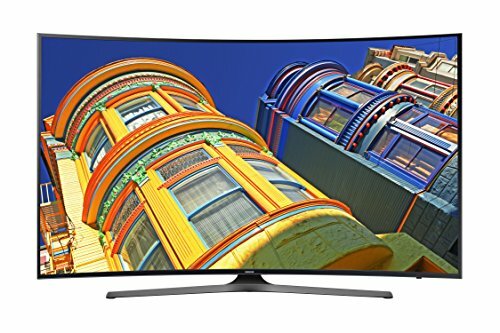 A Samsung 40inch LED television that lacks the Premium 4K Ultra HD that some of the others we've mentioned have, but has a variety of other features which make it worthwhile. It is an HDR TV which also comes with PurColor, so what it doesn't have in the resolution it can make up for a bit in color. It's also LED with a dedicated Ultra Dimming component which will further optimize the brightness of the screen's individual sections. This also comes with an Upscaling Picture Engine so the classics will look as good as new. And of course, it is a Smart TV. This Smart 4K TV comes with a few different handy additions to that system too, the first of which is a Smart Remote which will allow for easy navigation. And there is also a feature called Smart View which makes it possible for you to view content from your Smart TV on other devices. + High Dynamic Range Premium technology. + An Upscaling Picture Engine. + Smart compatibility thats transferable to any device. Why We Liked It - Packed to the gills with awesome features and at 40 inches its not too big or too small. This great 40-inch 4K television is also one of the more affordable models too. Yep, this is the fifth Samsung TV to appear on this list. And you know what? Its not going to be the last one. They are just too good and theyve produced a huge variety of these TVs that are under $1000, in a bunch of different sizes. This one is 55 inches and it has everything that the best Samsung models have. Its Premium Ultra HD so it has that extra level and its HDR too. This Samsung Smart 4K Ultra HD TV also comes with Triple Black, and it has the best Motion Rate you can get at 240. Smart TV on top of all that, and it also comes with the old reliable Samsung OneRemote. Theres another feature here called One Connect which allows you to connect all of your devices into one box instead of cluttering up the back of the 4K Ultra HD TV. + Awesome Motion Rate of 240. + Premium Ultra HD and HDR. + Smart compatibility complete with the OneRemote. + A total of 4 HDMI ports. Why We Liked It - This TV has all of the stunning picture quality that weve come to expect from Samsung and it looks fantastic on a 55 screen. Samsung yet again. It might seem like a joke at this stage but trust us, it really isn't. There actually is this many great Samsung TVs that fit into this category. The list of features in this one reads like an essential checklist for the best possible 4K TV but it is missing one thing. This is not an HDR product. So that may be a dealbreaker for you but considering how many other great things this TV has to offer we think it's still worth taking a look. So it's curved first of all, and as we already talked about that gives the picture an increased sense of depth which adds to the immersion. 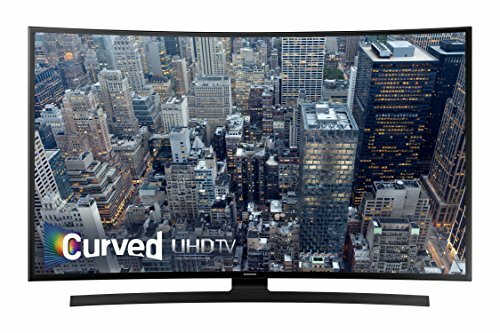 Much like the other curved Samsung TVs, this also has an Auto Depth Enhancer just to give it that extra push. It's a Smart TV with a Smart Remote Control which will give you optimized control over the TV and it's also LED. A TV that lacks HDR can still have a good brightness range if there's an LED backlight. + A curved model with the Auto Depth Enhancer. + A user-friendly smart system. + Plenty of inputs and outputs. Why We Liked It - For a TV that doesnt have a hugely popular modern component like HDR, this is so strong in so many areas that its still an outstanding product. This is the last Samsung TV on the list we promise. And we're finishing with quite the bang too. This is actually quite similar to the last model that we talked about but the big difference is that this one actually is HDR. This HDR system has a function called 4K Color Drive which enhances every shade making everything look realistic and eye-catching. This 4K V also has Essential Black Pro so the darker scenes are going to look just as good as the bright ones. In addition to that, there's Motion Rate 120 which isn't the best that you can get but is going to serve you perfectly for most fast-paced stuff. 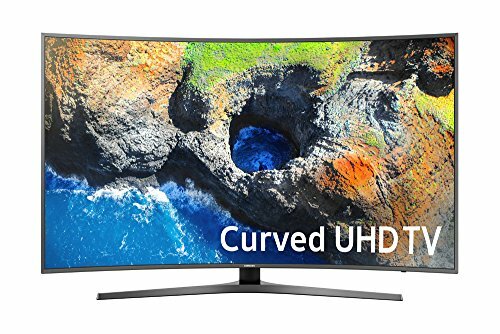 I probably don't need to even say it at this stage considering all the other Samsung TV models have been the same but this is a Smart TV and it comes with the Samsung OneRemote. + Full smart compatibility complete with a OneRemote. + HDR with both 4K Color Drive and Essential Black Pro. Why We Liked It - The incredible combination of 4K, HDR and LED makes this a pretty perfect TV for movies, gaming mode and pretty much anything you'd want to use it for. This final product that we're going to talk about is from LG and it's one of their better TVs to buy. It's got everything you'll be looking for from a 4K TV. It's lit with Full-Array LED and has Motion Rate 120 too. This model actually takes HDR to the next level with a system called Active HDR. What this does is optimize the onscreen content scene-by-scene. Every single image will be individually altered to suit the specific shades. HDR is great as is, but this adds an extra dimension to it and the image is just constantly excellent because of it. + LGs always popular WEBOS technology. + A stunning picture with both LED and Active HDR. + 3 HDMI ports, 2 USB ports and another few inputs and outputs too. Why We Liked It - There are many great features coming together to give you a crisp, lifelike picture and it has a couple of things that aren't offered by any Samsung TV such as Active HDR and the IPS screen. See more 60-inch 4K TVs. There are quite a few good cheap 4K TVs there to choose from, but before you actually make that choice you need to think about a few different things. While most of what we've discussed has been positive, there is a lot of reasons why one of these TVs might not work for you. You have your own desires and you're probably buying the TV for a specific reason or two. 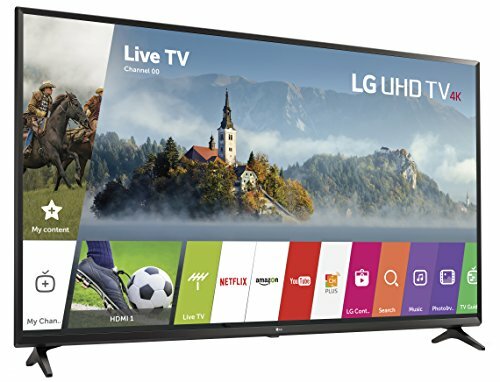 Some of these cheap 4K TVs to buy under $1000 might be great overall but not necessarily very well suited to what you want to get out of owning a Smart 4K TV. What you want will be different to what various other people want and so you need to think about these individual factors in order to get a sense of what your ideal budget 4K TV actually is. You may also wish to view our guide on the top 4K TVs under $500 if your budget is lower. You've seen this advertised as a feature on TVs but it's usually abbreviated to HDR. What we're talking about when we discuss HDR is the range of brightness that the TV will display. So an HDR TV will give you the best out of every possible shade. It doesn't really mean that the screen will be excessively bright, but instead that if the screen is really bright the colors will still appear lifelike. Things won't be washed out as a consequence of this brightness. And the same then applies to darker scenes too. Even though they tend to have a less varied color scheme, darkness will still be optimized by HDR. It will be as clear and realistic as possible and if the image is shared by a wide variety of shades, you won't see any problems there either. HDR TVs have fantastic contrast ratio. 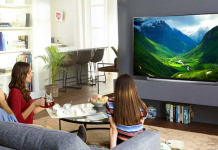 Generally, without you having to alter the contrast in the settings, an HDR TV will just automatically focus on ensuring that the range of colors all get the same treatment. It might not sound like it's hugely important especially considering the TV is 4K anyway, but trust us, you will notice the difference that HDR makes. And you'll probably be pretty hesitant to go back to TVs that lack the feature once you've actually experienced it for yourself. It's really the best-case scenario for getting a Smart 4K TV. As we mentioned earlier, modern cameras are capable of picking up some amazing, high-quality stuff and it applies to the colors just as much as it does to the detail. You'll be missing out on a lot of image quality from contemporary 4K content if you're not using HDR. And when it comes to video games, this is arguably even more important. Video Game development is better than it's ever been and the developers themselves are taking full advantage of the technology that they have. You've got these incredible, detailed worlds to personally explore when you're playing a current generation video game and HDR is the best way to do that. So we'd highly recommend picking a TV that has this technology and luckily most of them do. Motion Rate might not be a term that youve heard before but its something that is extremely important and like we said about HDR, once you see a TV with high Motion Rate youll notice its absence in ones with a lower rate. What it refers to, is how quickly the picture reacts to whats appearing on the screen. You might have heard it referenced as response time or refresh rate before but most of the products youll be looking at will have it listed under Motion Rate. The numbers that youll most commonly see on 4K TVs are 120 and 240, and occasionally youll come across a TV with Motion Rate 60. You probably want to avoid the lowest option there, especially if the TV is Smart 4K and equipped with HDR or an LED screen. If you have a picture of that image quality, low Motion Rate will detract from it significantly. Its most notable when youre watching movies or shows that have got fast-paced imagery. So this includes actions movies, which of course are extremely popular. A lot of the most visually striking movies and TV shows that we watch nowadays are very action-oriented. Superhero movies are among the most popular films being released in 2019 and a lot of the appeal behind these is both the high-octane action scenes and the impressive visual effects. Low Motion Rate is just going to cause that sort of thing to blur and pixelate. If the TV can't keep up with the imagery then it's going to lose any sense of fluidity. What should be a sleek immersive viewing experience will just end up being a choppy mess of colors and no one wants that. It applies just as much to video games too. You get a lot of slower-paced movies that people are very interested in, but the vast majority of video games are about action and intensity. It's Grand Theft Auto, Call of Duty, Tomb Raider and a whole host of other adventures and first-person shooters that make up most of our 4K gaming interests. If youre driving through the streets of Los Santos in GTA V you want to be able to take in the sights not watch as a blurred buildings and cars fly by you. We would argue that a TV with high Motion Rate is absolutely essential for modern gamers. Its not just movies and video games though, if youre a sports fan a high Motion Rate could be really helpful in keeping the picture smooth especially during the likes of hockey and basketball. Motion Rate 240 would be ideal for all of these things, but Motion Rate 120 will usually get the job done too. You might not notice a huge difference between the two so its not the end of the world if your TV doesnt have Motion Rate 240, but it would be our recommendation. LED screens have been around forever. It's something that was such a common feature in the good TVs to buy from like the 1990's and 2000's that it might come as a bit of a surprise that you won't find it in all of the best models these days. The reason for this might be that HDR is on the rise and offers somewhat of a similar function to this. LED stands for Light-Emitting Diode and an LED screen has a panel inside it which is made up of all of these diodes and serves as a backlight for the TV. This means that it will control the peak brightness and so that's where the similarities to HDR come from. 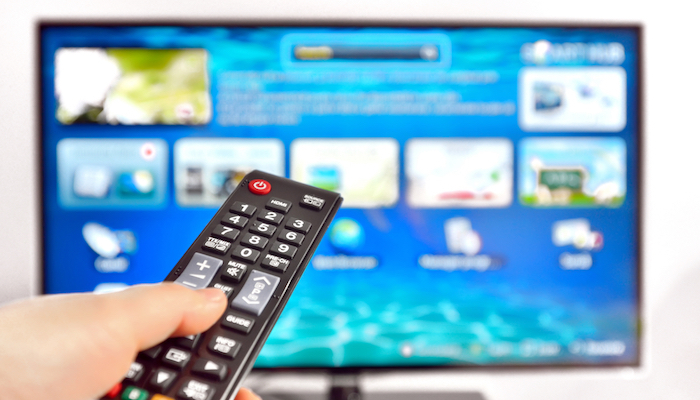 LED TVs will often have a feature called local Dimming or Ultra Dimming' in some cases which will brighten and dim specific areas of the screen individually. It's a handy feature to have because it can help with ensuring the contrast ratio is up to scratch. There's also another feature, which takes LED a step further and is known as OLED. The O' stands for organic and the benefit of it is that the diodes are much smaller and more flexible than regular LEDs, so more of them can be fit into the TVs back panel. It's actually a huge step up from the standard LED models but it's not all that common. In fact, LG is the only company who are currently producing TVs with OLED screens and they tend to be pretty expensive. Like all of these factors, whether you want this or not is up to you. You can get similar things out of HDR and LED so either one might suit you and there are some TVs which actually have both. Smart TVs are starting to take over, and we think its one of the most worthwhile additions to the television market. 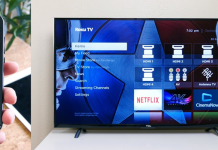 While its always a benefit to be able to connect a device like this to the internet, the real benefit of Smart TVs is to do with the rise of streaming services. In what probably started as somewhat of a panicked response to internet piracy, a lot of production companies and television networks are allowing their movies and shows to be available on the likes of Netflix, Amazon Prime, and Hulu. If you have an account with a couple of these services, youre probably able to find most of your favorite shows and movies on there, and for the ones that you cant find, YouTube has a pretty huge selection too. And I don't mean movies that have been illegally uploaded to that site, but a lot of maybes are available to rent on YouTube for what is usually a fairly low price. Collecting DVDs and BluRays was always fun, but it's so convenient to have everything you want to watch so readily available when you turn on a Smart TV. And most Smart TVs will have Netflix, Amazon Prime, Hulu and YouTube already downloaded on the system. And of course, there are a lot more streaming services than that. Many Networks and entertainment companies have their own and they will almost certainly all be available from the TV's app store. But it doesnt really stop there. Scrolling through a Smart TVs app store is not that different from scrolling through the app store on your phone. Youre bound to come across certain apps that youd never even thought of before but might very well be extremely useful to you. Theres games, news channels, apps that offer tutorials for things like cooking, exercise, and various hobbies. The benefits of Smart TV are basically endless. Which 4K TV Under $1000 is Right for You? So weve said it already but it really is of paramount importance. This decision is yours and youve got to make sure that you make the right one. What you should do is think about each of these factors individually and decide which ones are absolutely essential elements that you need in your TV. You can also try and gauge which ones might not be that important for you specifically. Once you know what exactly youre looking for, go back to the 9 choices that we talked about earlier and see which one is the most in-line with your preferences. Theres definitely a 4K TV out there for you, and if you give it some thought youll easily figure out which one. We believe that the Samsung TV UN55MU8500FXZA is the best 4K TV under $1000. 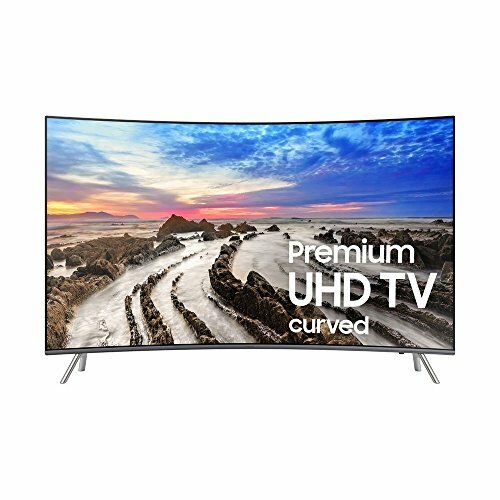 This 55-inch 4K TV has the best versions of all of the important elements like HDR, Motion Rate 240, and LED with the curved screen and smart compatibility as added bonuses. Yes. 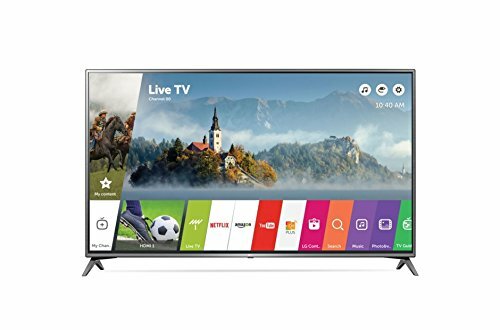 There are many great 4K TVs out there that are very affordable and come in at less than $1000. When using a TV with HDR, be sure to avoid a setting called HDR+. Despite its name, this doesnt actually increase the quality of HDR content, all it does is crank up the backlight to create the illusion of more vibrant colors. In truth, some of the finer details will be lost in the brightness if you use this function. If youre going to mount your TV on the wall, try to avoid mounting it too high because the optimal viewing angle is 40-degrees. This means that your eyes should line up pretty perfectly with the center of the screen.